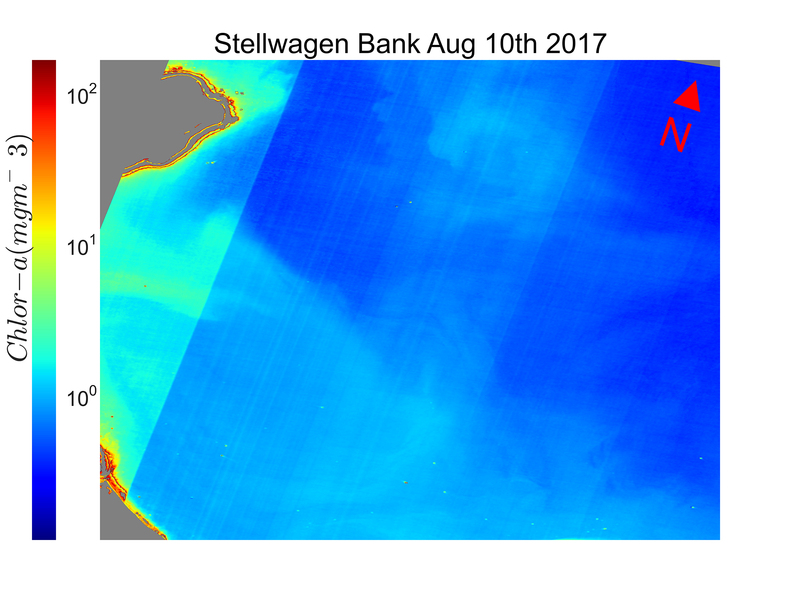 Initial raw satellite imagery of chlorophyll within Stellwagen Bank National Marine Sanctuary. Image courtesy of NASA Goddard Space Flight Center. Student Sabrina Liu researching satellite image processing at MIT Sea Grant. 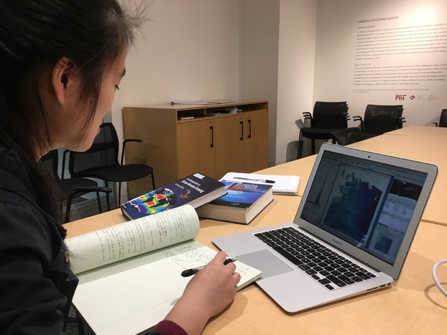 During the Spring 2018 semester MIT Sea Grant Visiting Artist Keith Ellenbogen and Senior Scientist Dr. Tom Consi worked with MIT student Sabrina Liu to research image processing and visualization techniques for high resolution raw satellite data provided by NASA. Their research focused on visualizing phytoplankton blooms, tiny microscopic organisms that bloom in such large numbers in the ocean that they can be seen from space. These algal blooms create beautiful patterns that can stretch for hundreds of miles and trace the ocean’s swirling currents. While this research is still in development, it highlights the intersection between art, science and technology. 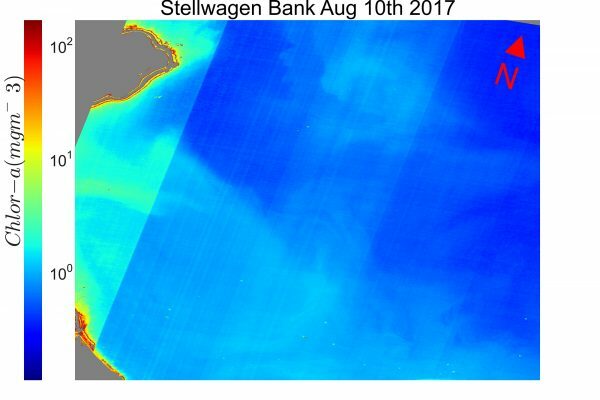 We look forward to sharing more images from orbiting satellites over Stellwagen Bank Sanctuary as we develop the artistry to visualize the abundance of chlorophyll and plankton within the Atlantic Ocean. NOTE: Keith Ellenbogen and Tom Consi have formed a collaboration with NASA Goddard Space Flight Center.